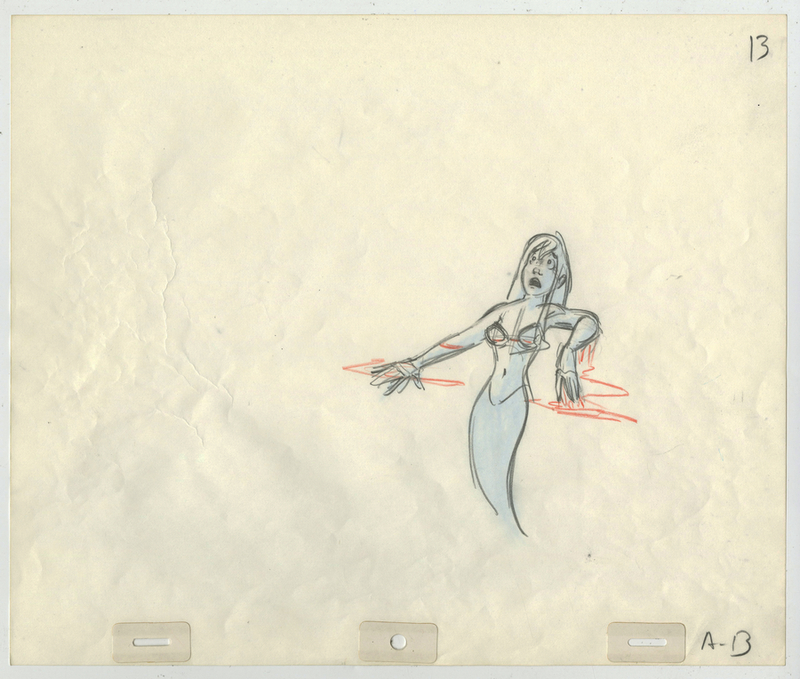 This is an original production drawing from the Walt Disney Studios production of The LIttle Mermaid. 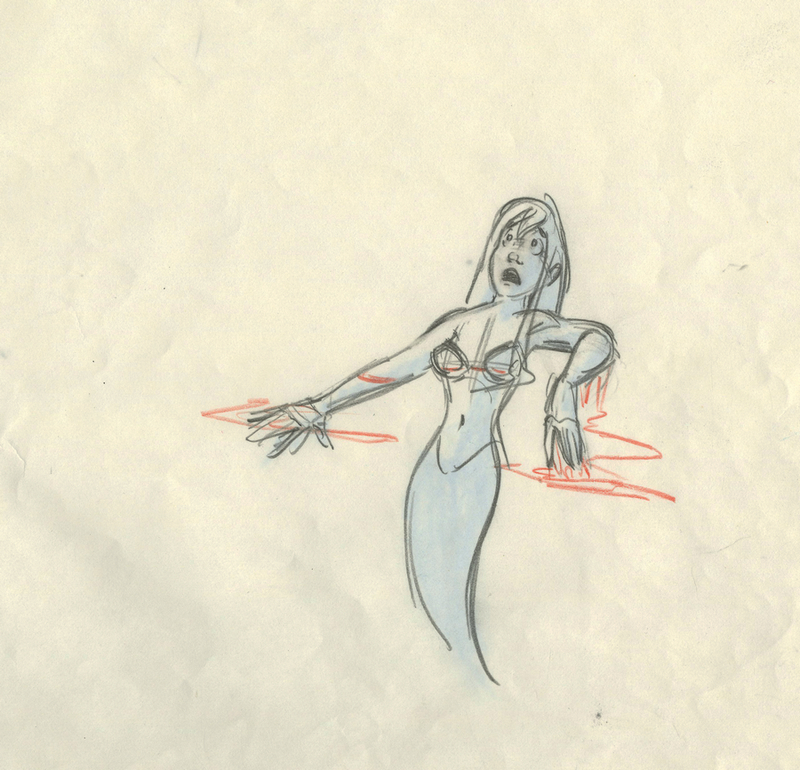 This drawing was created by Mike Cedeno and features Ariel and was created at the studio and used during the production of the film. 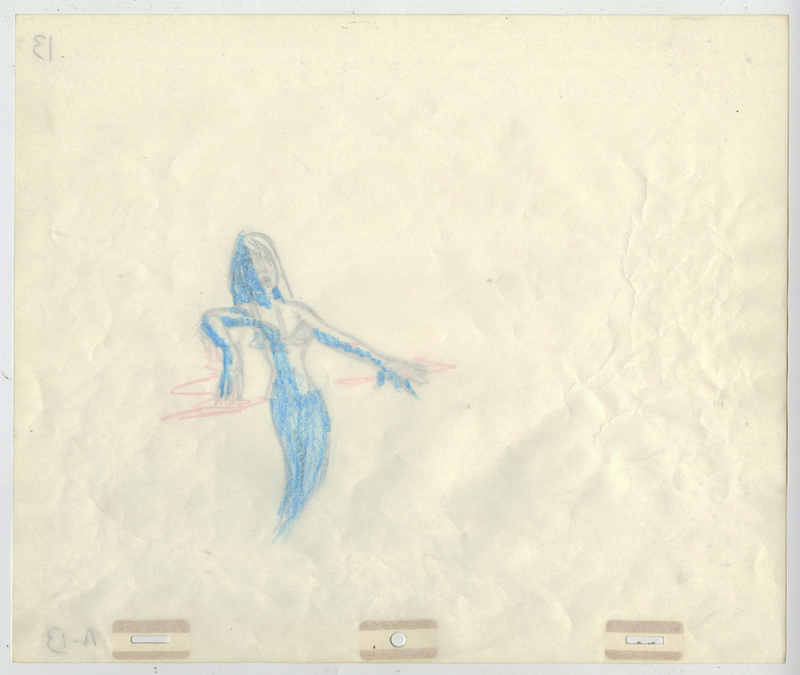 The overall measurements of the piece are 10.5" x 12.5" and the image itself measures 5" x 5".The drawing is in very good condition and has shading on the reverse of the page too.